The fish is symbolic of abundance, prosperity, wealth and persistence. At one time only nobility owned carnelian and many times they were buried with this stone. 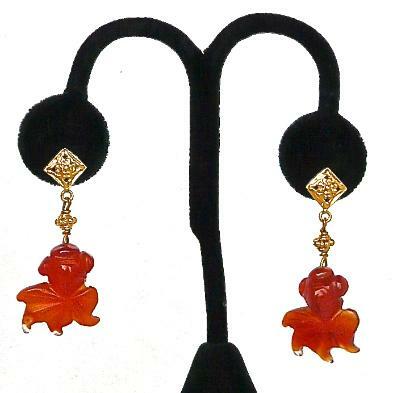 The most highly prized carnelian is a deep red to red-orange color.